for the life of the world.’ (John 6:51). Today is the third Sunday we spend exploring John 6. Following our weekly gospel readings we have moved from the miracle of feeding of the five thousands to various conversations following that extraordinary event. 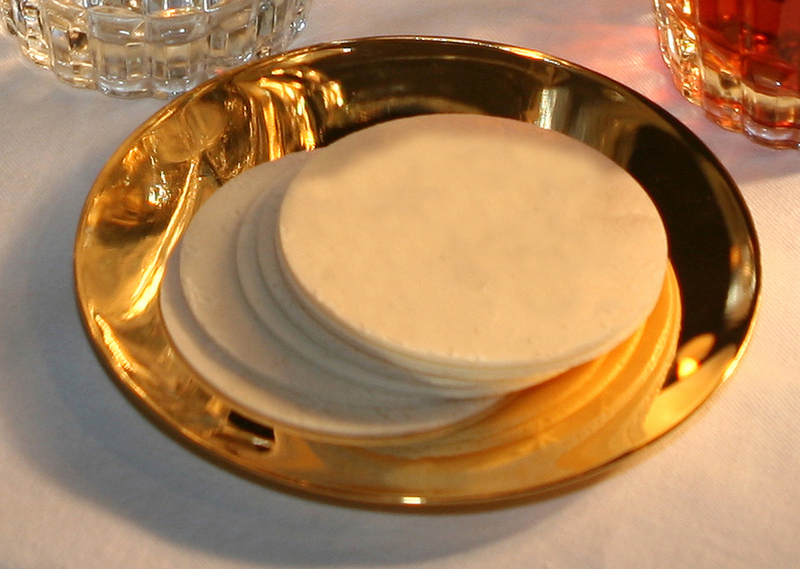 If you remember from last Sunday, in these conversations, Jesus draws a parallel between the feeding of the five thousands and the feeding of ancient Israel with the manna in the desert, while at the same time trying to make his audience understand that both of these miraculous events are only foretastes of what his followers are going to receive in the gift of himself, the true Bread of Life. The tone of these conversations becomes increasingly tense as we move deeper into the chapter, up to the point at which, today, we are presented with a full-on confrontation between Jesus and “the Jews” – understood as all those people who refuse to accept Jesus’ ministry. Notice how strongly Jesus reproaches them; ‘Stop complaining to each other’ he says (6:43). 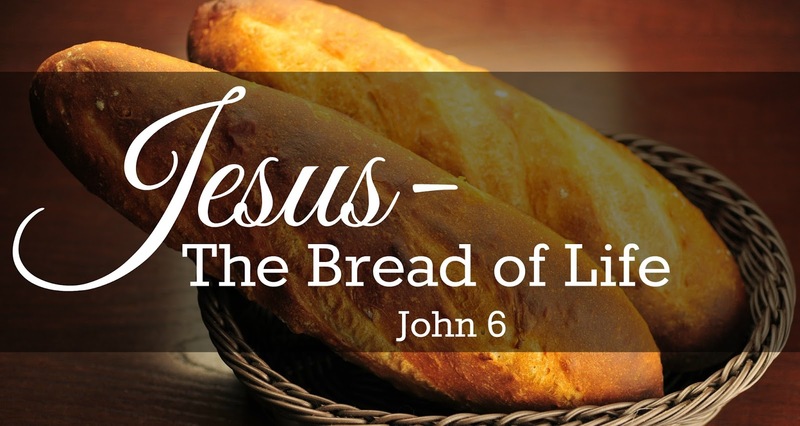 In this confrontation Jesus comes out rather more strongly and more clearly than usual about his message: he affirms that he is the living bread, he is the only food which can truly sustain us. Yet, Jesus goes further still affirming that in the bread of life he does not provide just food for physical nourishment, because the Father already did that with the manna and even though the people ate it, they eventually died. No, Jesus, provides a different food, whose nutritional value goes well beyond sustaining our bodies. 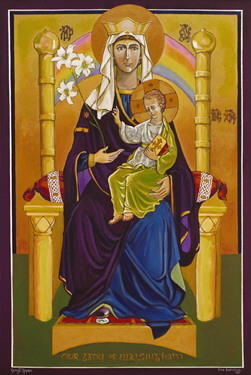 Jesus is the only bread that grants life both now and in the age to come; by receiving him we have nourishment both for our pilgrimage here and a pledge of the life to come, for, as a favourite hymn of mine sings, how can He deny me Heaven, Who here on earth Himself hath given? As Jesus neatly puts is, the bread he gives of his actual flesh (Cf. 6:51). Therefore, thinking forward to the crucifixion, Jesus affirms that his own flesh thorn and nailed to the cross can become food eternal life for all in the form of bread. 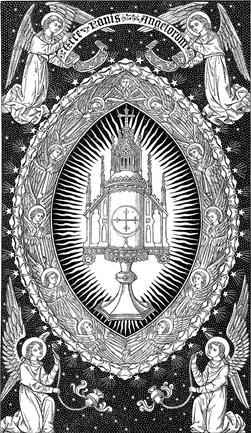 This we witness at every celebration of the Eucharist, at every Mass; here the flesh of the Lord Jesus is offered and given as life for the whole world under the form of bread broken and shared. Yet, only the eyes of faith can reveal this great mystery to us. We should ask sincerely for faith to see. The teaching of John 6 upsets Jesus opponents in every age. But from this point onwards the evangelist invites us as well to make a decision about what Jesus is saying; John draws us into the theological dispute and asks us to side with one party or the other – a request that becomes only more pressing towards the end of the chapter when Jesus himself questions his disciples about their allegiance. We are invited to make up our mind, freely and without compulsion. We can decide to support either of the two factions involved in the debate; we can either side with “the Jews”, the opposers to the gospel, and reject this teaching affirming that what Jesus is talking about is utter nonsense or a mere figure of speech – no-one can give himself as food to others, and so forth… or we can side with the Lord Jesus, and approach the altar rail with thankfulness and humility, simply trusting in his own words and receive him, flesh and blood in the Blessed Sacrament, so that by feeding on him we may have a pledge of the life to come.